The highest -ranked cruise ship in the world, according to the 2012 Berlitz Guide to Cruising and Cruise Ships, Hapag-Lloyd Cruises’ MS Europa is offering guests two world-class music festivals in 2012. 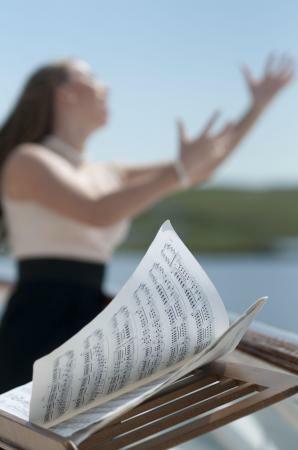 The “Ocean Sun Festival,” the only classical music festival on the High Seas, will feature internationally acclaimed classical music stars performing on board, as well as exclusive concerts at historical sites ashore. Additionally, the “Stella Maris“ International Vocal Competition will bring together up-and-coming young singers from the most renowned opera houses in the world to perform and compete on board a Middle East and Africa itinerary. These two music cruises are the highlights of a total of nine music cruises aboard the Europa in 2012. Now in its sixth year, the “Ocean Sun Festival” has been compared to the prestigious Festival del Sole in Napa Valley, California and the Tuscan Sun Festival in Italy. For an added dimension to this musical experience, international music critics will offer lectures along the route. On board, “Ocean Sun Festival” guests will experience the breathtaking violinist Janine Jansen, the aspiring pianist Igor Levit and renowned soprano vocalist Marlis Petersen. This musical voyage continues ashore with the soloists joining the Bergen Philharmonic Orchestra in Bergen, Norway. While the classical music concerts are the highlights of this itinerary, the Europa will glide through the picturesque Norwegian fjords, with calls in the charming and multifaceted cities of Bergen and Oslo. This 12-day itinerary from August 12-24, 2012, starts at £3,890 per person/based on double occupancy for a suite. In cooperation with the prestigious international opera houses, the Europa will also be hosting her fourth annual classical music competition at sea, “Stella Maris.” Under the direction of Canadian tenor Michael Schade, a jury of famous personalities in the classical music field will judge the top talent represented by international opera houses. The distinguishing feature of “Stella Maris” is that the audience determines the winner of the cash prize worth €15,000. This prize, generous compared to others in the world of classical music, is provided by Hapag-Lloyd Cruises. The jury will decide on the recipients of the additional prizes, which include: a guest engagement at an international opera house, a concert, and a test recording with Deutsche Grammophon. The competition will occur on board an 18-day Middle Eastern and Africa cruise through the Indian Ocean from November 7-25, 2012, making stops in Dubai, Oman, the Seychelles and Madagascar this November. The itinerary starts at £5,340 per person, based on double occupancy for a suite. The Europa is the first “all-suites” cruise ship, with staterooms that are never less than 27 square meters / 290 square feet, 80% of them having their own veranda, assuring privacy and relaxation. The Europa offers guests the largest space per passenger, as well as one of the highest staff passenger ratios, with 280 staff members for a maximum of 408 guests. New to the Europa , Dieter Müller became the first award-winning chef to open his own gourmet restaurant onboard. He’s personally on board 70 days a year. Also recently launched, the Europa ’s “Baby Welcome Package” offering baby care products and baby food for passengers travelling with infants. 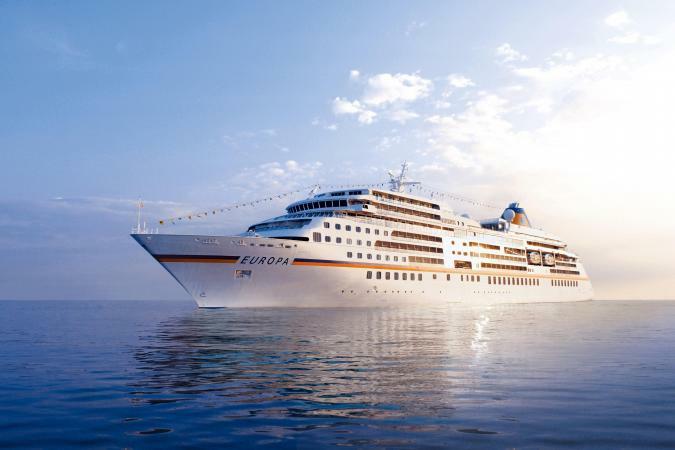 The Europa will be visiting over twenty countries in 2012, as part of her international itineraries, where both English and German are used on board. For further details on any Europa cruise and to get our preferential Sterling rates please call Gay Scruton at The Cruise People Ltd in London at 020 7723 2450 or e-mail cruise@cruisepeople.co.uk.